Project Description: ISEE is a collaborative effort between Six Demon Studio and the Winter Agency. 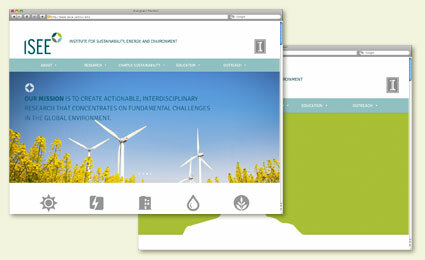 ISEE needed a modern website design useful to both to the student community, donors and agencies looking for environmental project information. The needs of the target audiences were vastly different, the solution was to create a completely flexible CMS that would allow ISEE to develop different sections of the site for each target user. Instead of using the default menu system, SDS opt’d to use a flexible menu system that ISEE could visually manipulate in real time. Additionally, a feature rich calendar system was put in place for the communication of various student and lecture events. The calendar supports remote location mapping, repeatable events, as well as a host of other features designed to make it easy to use from an administration standpoint as well as having enough features to make it useful to the user. 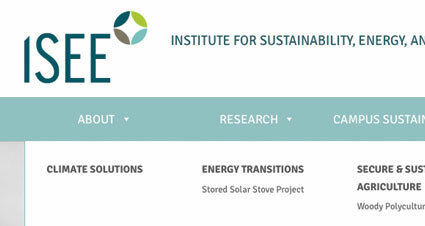 In conclusion, the ISEE project represents the end result of our second collaboration with the Winter Agency. The great working relationship and communication allowed this project to bloom into fantastic design that exceeded the client’s expectations.